The Predators travel to Minnesota and play Kevin Fiala. Tonight the Nashville Predators (37-25-5) travel to St. Paul to face the Minnesota Wild (32-27-6) in yet another Central Division clash. As the Predators enter the final stretch of the season, these intradivision games on the schedule gain more importance. The Wild currently hold the final Western Conference wild card spot, so they need little incentive to fight as hard as they can for two points today. The Predators and Wild also recently combined to make a one-for-one trade at the deadline last Monday, swapping Kevin Fiala for Mikael Granlund. This will be Granlund’s second game for the Predators today, while Fiala will be making his third appearance for the Minnesota Wild. It’ll be interesting seeing which player makes the bigger impact on the game today. 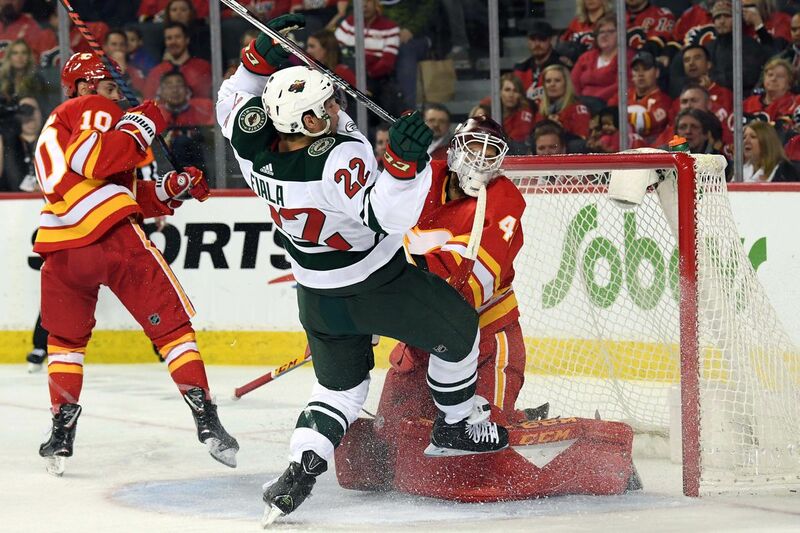 After beating the Calgary Flames on the road last night 4-2, the Wild immediately turned around and now face the Predators on the second end of a back-to-back. In their last ten, the Wild have been a mediocre 5-4-1, which sort of falls in line with what people tend to expect from the Wild. They are a good team that just never seems to grasp greatness. However, with Kevin Fiala now in the fold, the Wild have a creative player that the roster previously lacked. 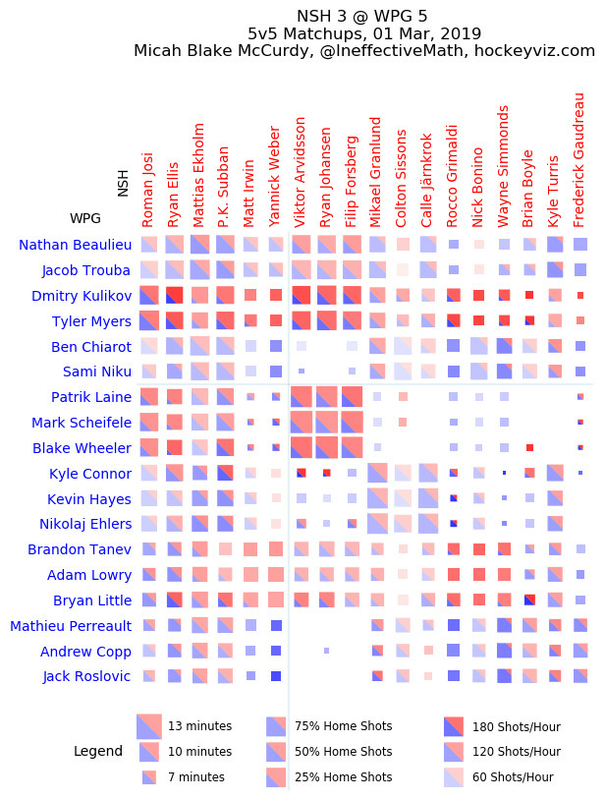 Always willing to take chances to create a play, Fiala is being played on Eric Staal’s wing on Minnesota’s top line. There’s no mistaking that Fiala has the potential to be a great player in this league, and getting consistent minutes should help boost his development. In addition to Kevin Fiala playing the Predators again, Pontus Åberg and Brad Hunt have been getting playing time for the Wild recently. Furthermore, the Wild picked Anthony Bitetto away from the Predators off of waivers, but Bitetto did not feature for the Wild in last night’s contest against Calgary. It truly is a reunion of Predators tonight. Despite the need for the Predators to pick up some wins in their recent stretch of games against Central Division teams, they have been unable to do so. The Blues recently won three games against the Predators, while the Winnipeg Jets defeated the Predators 5-3 on Thursday night. Unlike other games as of late, the Predators showed a strong performance but just could not get the job done. Mikael Granlund played his first game for the Predators and picked up an assist on Mattias Ekholm’s goal. Granlund and Wayne Simmonds still need time to adjust to the Predators’ system and settle in, but their performances against the Jets were not in any way horrible. Simmonds in particular already flashed the reasons why the Predators traded for him: a gritty, in-your-face personality willing to go to war for his teammates. Over on the Predators bench, Simmonds leaned over a few times to jaw at the Jets as they drifted by. In combination with his netfront presence and willingness to go fight for the puck in corners, he’s played very well in his two appearances. Kevin! Pontus! Brad! Tony! What’s happening?! Tonight is another crucial Central Division matchup that could implicate the playoff seeding down the line. Facing a weary Minnesota team at the end of a back-to-back, the Predators have a prime opportunity to pick up two points tonight. Hot dish. Other than one of the best tournaments in all of hockey, the greatest thing to ever come out of Minnesota is hot dish. Kind of like a casserole, you can toss basically anything into it. Here’s a collection of hot dish recipes to get your newfound love off the ground. The puck drops at the Xcel Energy Center at 6:30 Central. NBCSN will televise the game while 102.5 The Game will broadcast it over the radio. Tuesday’s Dump & Chase: Well?? Well?? Due to ridiculously early medication-induced bed times, this post will be submitted before the end of Game Six. Nashville Predators 1, Dallas Stars 2 (OT): Dallas Wins in Overtime to Take Series Pekka Rinne didn’t deserve that effort. Nashville Predators vs. Dallas Stars Game 6 Thread Please win. Yesterday Afternoon in Review: You’ve Heard This Song Before We’re running out of ways to say this. Playoff Preview: Milwaukee Admirals v. Iowa Wild Finishing second in the division, the Admirals will take on the baby Wild in round one. This Article has a component height of 20. The sidebar size is long.